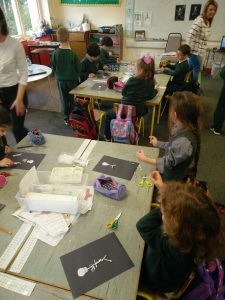 We had our first RavensKidz Art Club on the Monday before we finished for Mid-Term break. 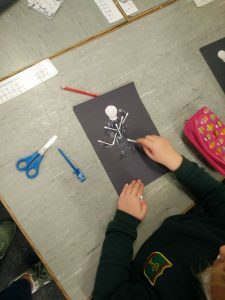 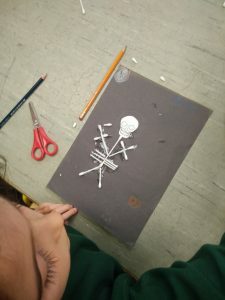 The boys and girls in Art Club made their own, unique ‘Spooky Skeletons’. 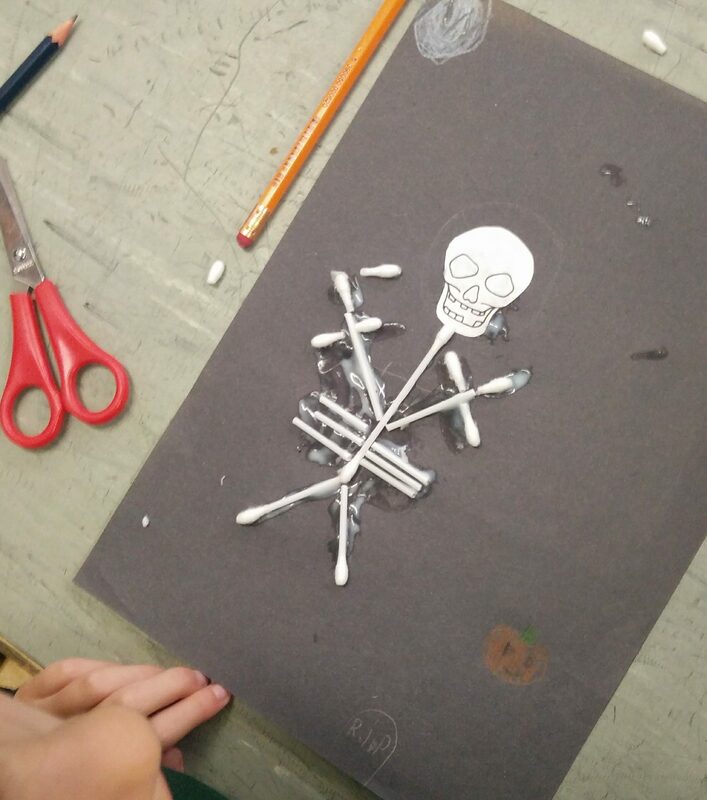 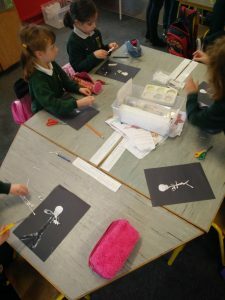 They used cotton wool buds and PVA glue to create their spooky pieces. 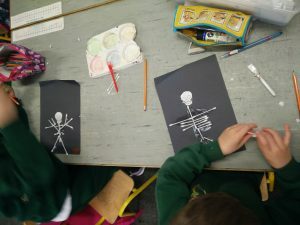 Below are some pictures of the ‘Spooky Skeletons’ made by the children in Art Club.